Rebuy it? Probably yes. Why? Definitely the best smelling beauty product I have ever used! The scrub was really pleasant as the scrub particles had a really good size (quite small but still super effective). The scrub had already expired more than a year ago but I really didn't notice any texture changes so I kept using it. Also the packaging is so pretty that I'm gonna use it for decoration purposes in the near future. If you want to know more about this product you can read my first review about the scrub. Rebuy it? Maybe. Why? I bought this shower gel back in winter, mainly because of the cute packaging. The gel nicely smelled of gingerbread but it wasn't too awkward to keep on using it after Christmas as I think ginger has quite a fresh smell after all. Right now I'm glad it's empty though as the fragrance might tick you off after a while. But who knows, maybe next winter I'll get another bottle. Rebuy it? Probably not. Why? 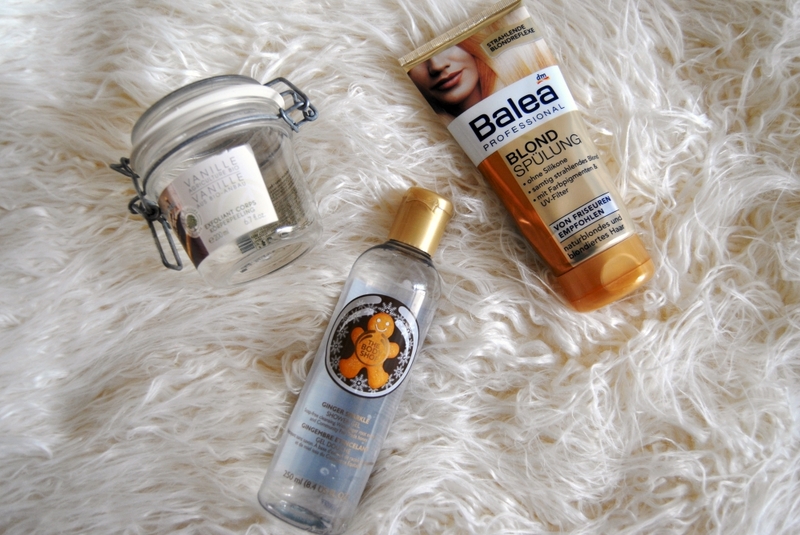 I really like Balea hair care products and I was also satisfied with this one. However it didn't make any improvements to the color of my hair and I also think I won't keep my ombré hair for for long. Rebuy it? No. Why? I bought this face cream years ago and never managed to entirely empty it. By now it has gone bad and started smelling really nasty. Back when I had bought it I was quite satisfied with this cream though so you might want to read my initial review here. Rebuy it? No. Why? As you might remember I was really unsatisfied with the Rainforest series from The Body Shop (read more about it here). Also after a longer break this hair butter couldn't convince me. It smells like Play-Doh and didn't make my hair as soft as other (deep) conditioners I have been using. Rebuy it? No. Why? This perfume was a present I got years ago. It had a really fresh and simple smell, nothing that would normally catch my attention. The leftovers went bad as I didn't use the perfume anymore. Rebuy it? No. Why? This is the first and only Benefit mascara I have tried so far (I had gotten it as a sample size in my Benefit Advent calendar). At first I wasn't that convinced but in the end when the texture had changed a bit it made some awesome fake-effect lashes. However I disliked that the brush was so big. The main reason I'm not going to rebuy it though is the price. Rebuy them? Yes! Why? These are my favourite razor blades and I have been using them for years. 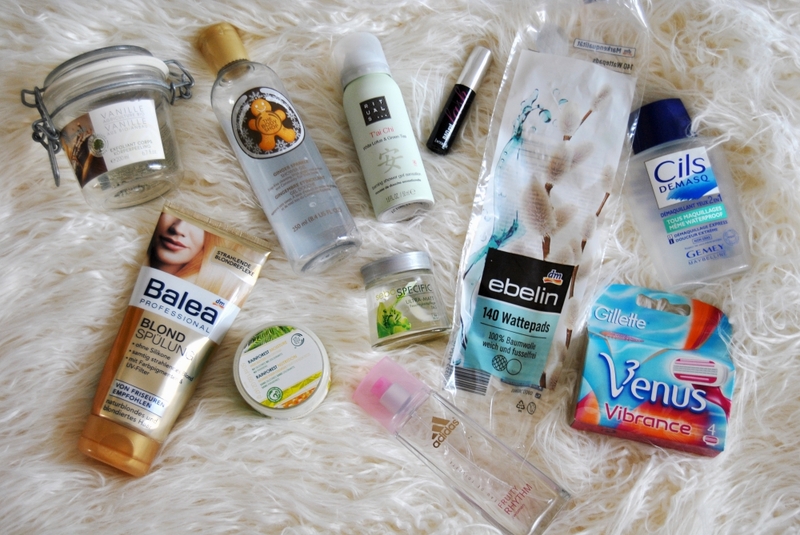 I thought I'd include them into this empties post in order to share that personal tip with you. They get my skin way softer than other blades I have used. Rebuy it? Yes. Why? My favourite makeup remover so far! At the moment I'm having a Balea one which is quite similar but this Gemey Maybelline one is still the best I ever had. 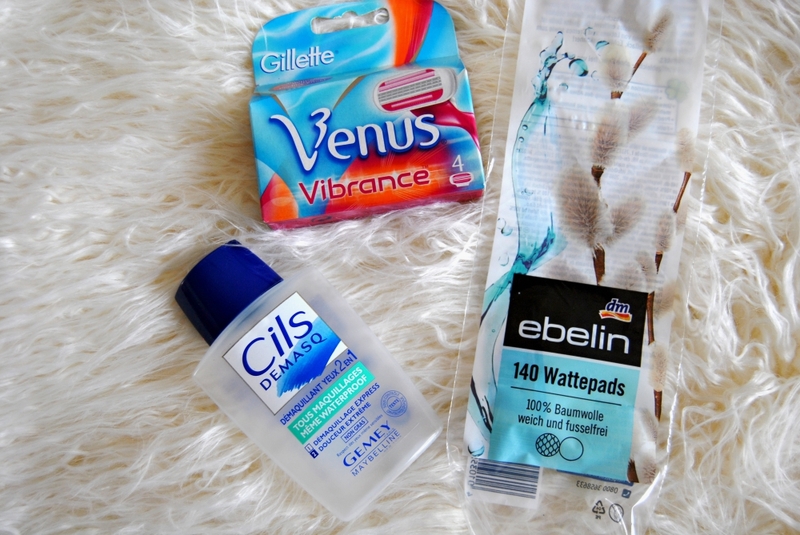 It's one of those makeup removers where you mix a blue and a clear liquid (I love them!). It leaves a greasy film on my skin, which not everybody likes but which I consider as a soft care. Rebuy them? Yes! Why? Normally I don't feature cotton pads in these posts but this time I just had to as these are the softest cotton pads I ever had. At the beginning you don't notice a difference between cotton pads but if you ever had really soft and gentle ones you won't want to go back to the regular stuff. And now it's your turn: what have you been using up lately? 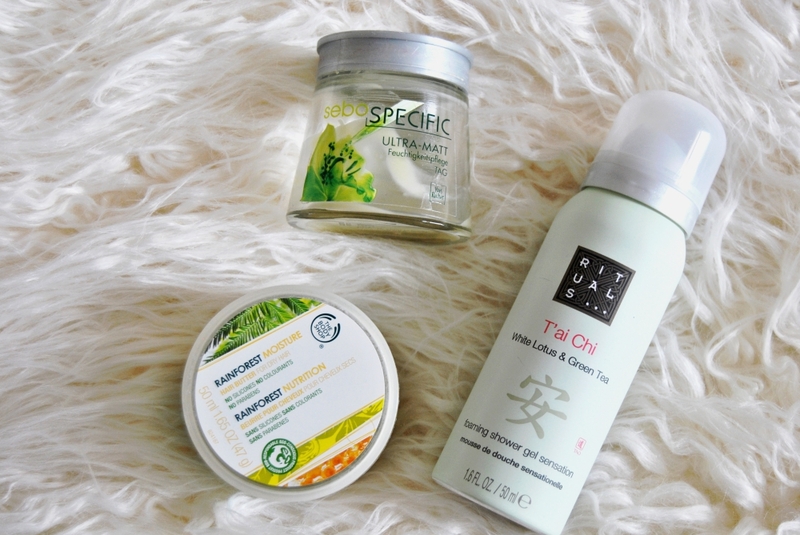 Which of these products have you been trying before? Or would like to try now? Loved seeing this! I never picked up anything when the ginger bread stuff came out and I missed the honey mania products and then they sold out so I definitely would like to try something this year end from their collection! Sorry to hear that the bad gal didn't work as well! I totally want to try the they're real though! Ebelin are my go to pads as well! I have never tried any of the products mentioned here. Great advice; I would not consider the ginger shower gel, the idea of this smell makes me nauseous already. But I will keep the Gemey eye make up remover in mind. My Canon camera has up to ISO 12800, which allows me to take clear night shots without any issues. My previous camera could not always handle these kind of shots. have to give it a try to many things mentioned above but the thing that just catched my eye is Yves Rocher Body Exfoliator Organic Vanilla for sure :) great post honey ! Thank you for reviewing these items Carmen! Now I will definitely know which products are good & which not so good as I was actually thinking of buying the Yves Rocher body exfoliator, because I have read so many good reviews on it! 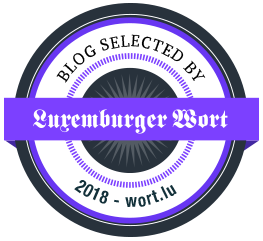 Solche Posts sind Goldwert, damit ich beim nächsten mal nicht ratlos im DM rumstehe udn nicht weiß, was ich kaufen oder ausprobieren soll :D!!! Great post Carmen. I enjoyed reading your reviews about each product. 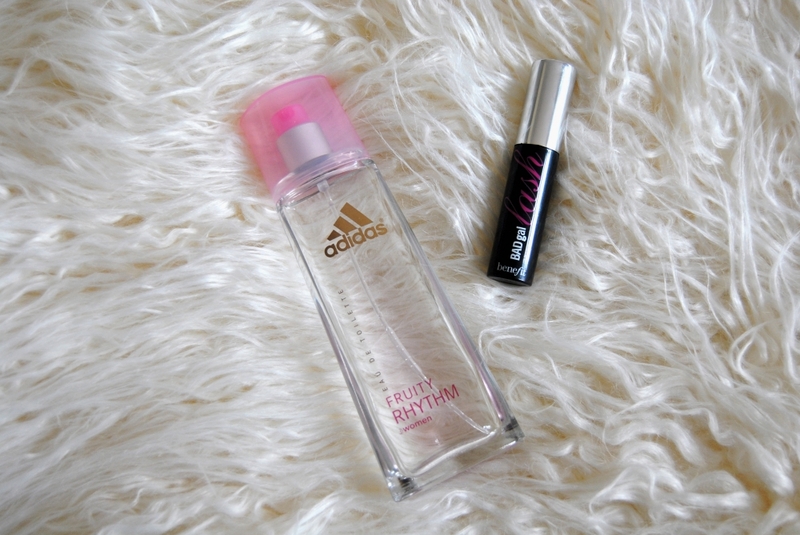 I've used Adidas Fruity Rhythm too and didnt like it much!